Different philosophy; different approach. Students who have been in school have likely become accustomed to an institutional approach where work is prescribed to the class as a whole and the teacher’s attention is divided among many students. Shifting to a creative thinking approach can be challenging for a student who just spent last semester trying very hard to figure out how to succeed in an institutional setting. In contrast, Oak Meadow’s approach is flexible and creative, and homeschooling can often allow for one-on-one support between parent and child. Switching gears to this degree is quite an adjustment and might bring stress or frustration. Be understanding and acknowledge those differences as needed. Structure and support are key. Set up a solid daily and weekly routine as a starting point. You may need to adjust it many times, but begin with a strong plan. It is easy to get sidetracked, so do your best to stick to the plan. Set aside focused time each day for academic work. Find a good place to work with your child where you can both be comfortable. If you are feeling overwhelmed, consider consulting with one of Oak Meadow’s experienced teachers, enrolling in our distance-learning program, using a tutor, or asking an experienced friend for help. Go outside! Oak Meadow’s organic approach to learning encourages families to learn out in the world. This means spending plenty of time outside in nature and interacting with others in your local neighborhood or community. Fresh air and the soothing sights and sounds of nature are a good antidote for stress of any kind, including the positive stress of the important transition from school to homeschool. Schools tend to be very social places, and you will want to be mindful of how your child’s needs for social interaction are met while homeschooling. You might find this benefits you as well as your child. I would love to homeschool my daughter. She has had to switch schools many times over her few years in school. She’s in 4th grade. She has always wanted me to home school her (even though she likes the social aspect of school) but I am afraid to transition as I have no idea what I myself am even doing. And I wonder if she thinks that she will just get to stay home and play on her electronics all day every day. I wish I had some advice or a mentor to help guide me through this…. Hi Carissa – Good for you for looking into your daughter’s request – many parents would have dismissed it out of hand. I highly suggest looking for support online and locally. Facebook has many homeschooling groups (some are online only, while others are online communication for groups that meet locally), and googling “(your location) homeschooling” can often point you to local groups. We also have a local resources database that might be helpful. For more individual support, you might find BraveWriter’s Homeschool Alliance to be helpful – I’m not entirely familiar with it, but I believe they offer coaching to homeschool parents (one of our contributors works with them, as does a friend of mine). Also, I highly recommend reading through the 6 steps to beginning homeschooling on our Homeschooling 101 page, particularly the Deschooling information. 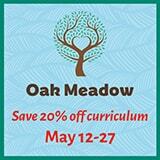 Oak Meadow, the sponsor of this post, offers a wonderful curriculum that you might want to look into. They have both boxed curriculum and distance learning options. Sponsorship aside, I’m a fan of their “living education” approach. Best wishes to you and your daughter on your educational journey! I am considering starting my kids in homeschooling mid-year. I am worried where to start…I don’t want them to get behind…any tips? Thank you! The best thing to do is start where they are and do the next thing. 🙂 Moving faster than they are ready to move will backfire, and with homeschooling it is okay to be further ahead in one area and further behind in another if it is developmentally appropriate. Check out our Homeschooling 101 resources for information about getting started, and be sure to read through the deschooling information for students AND parents. Hi Savanah – You aren’t alone! It’s easy to make decisions about styles, curriculum, etc., but until you actually start homeschooling it’s hard to know what will work for you. If you haven’t done so, check out our deschooling resources. Parental deschooling is just as important as student deschooling! I began homeschooling my 2nd grader the last week of February, so this is all new to me. I thought I had leanings towards unschooling, but I realized it’s not for me. So, right now I’m struggling with deciding on an approach and a routine and how much accountability I want him to have, etc. I know these are all things I should have addressed before pulling him out of school, but things didn’t happen that way. Ultimately, I’m really excited about finding a groove with it…. but am nowhere near that yet. (Having a 6 month old and a 26 month old doesn’t really help matters.) There are a lot of wonderful online resources for which I’m thankful, though! 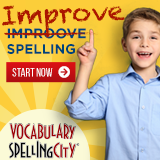 Hi Genna – Have you looked through our Homeschooling 101 resources yet? There is a lot of info there, and we recommend joining a local or online support group for ongoing support and information. It’s good that you are listening to your daughter’s resistance so you can respond appropriately, whatever that may look like. You might enjoy the post I mentioned in my comment to Lori above about the best curriculum for 4-6 year olds. Hello, I am in desperate need of assistance. My family lives in Atlanta, and I have a kindergartner and a 2nd grader. My husband just got a job in TX and has unfortunately already moved, so our family is apart. We have been unable to find a house but are probably going to move to TX and live with family. So, we are likely going to have to finish the school year (6 remaining weeks homeschooling). I have no idea what to do or how to figure out what I need to do to finish our the school year. Hi Lori – With the ages of your children, you should be fine no matter what you do. You might want to take a look at my article about the best curriculum for a 4yo (or 5yo, or 6yo) to get an idea of how much your kids are learning all the time. I would take the time to do some outside the box learning – learn about your new home state, visit museums, visit historical sites, read age-appropriate stories based in Texas, and immerse yourselves in all the new and fun things to do and learn in your new location. 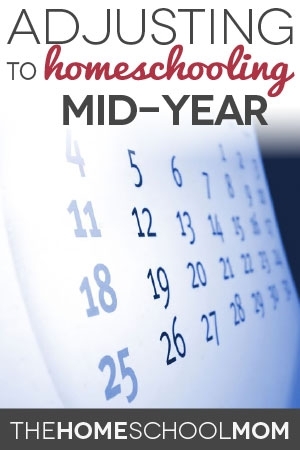 If you are worried that they will miss something specific that they need for next year, you could speak to your child’s current teachers and ask what they will be covering for the rest of the year and try to hit the basics. There will be gaps, whether your child is moving from one teacher to another, one school to another, one state to another, or homeschooling to school. It’s a little easier to breathe once you realize that it is an inevitability. Public schools typically step things up dramatically in 3rd grade in my state, so don’t think that it was those 6 weeks of homeschooling if it seems like there is a big adjustment next year – that is true for all the kids and it’s not based on what they learned in 2nd grade.